When you first started eating keto, you couldn’t get enough bacon and cheese. But now that the novelty has worn off, you know that filling up with lean protein is the way to go. Ta-da: boneless, skinless chicken breast is the answer. Here are 16 recipes to get you started. This keto-friendly recipe from Coterie member Monique Volz checks all the comfort-food boxes without messing up your diet. Not only do we love a sheet-pan dinner (so easy! ), but this works with any extra vegetables you’ve got in the fridge. Surprise and delight tonight. When the hankering for takeout hits, swap in this keto dish. The cauliflower rice is so satisfying, you might never go back to the original. Breaded, baked, covered in cheese and keto? Sounds like a total dream. Believe it or not, this dish is so decadent thanks to cashew cream, not milk. Not only is it keto, but it’s Whole30 and Paleo-friendly, too. Tortilla soup and white bean chicken chili? It’s a genius combo—and it’s topped with our keto favorites, sour cream and avocado. Try the speedy ten-minute prep version on weeknights, then whip up the longer, more flavorful version when you have more time on the weekend. Make these keto by swapping a regular tortilla for a low-carb one—or, like us, just eat it right out of the bowl. 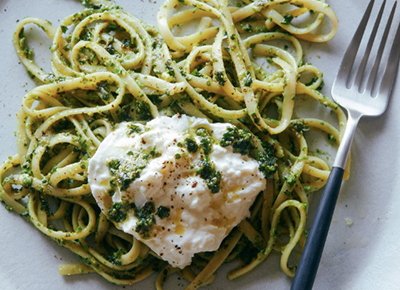 Put a low-carb twist on classic chicken alfredo by swapping the pasta for zoodles. But keep the heavy cream—you’re eating keto, after all. Craving mac and cheese? Hit the spot with chicken breast, cauliflower and a creamy, cheesy ranch sauce. Give this vintage dish a 2019 makeover. Skip the cream of chicken soup—this recipe is all about making your own sauce.